Manufactured from 15mm beech melamine faced MDF this robust unit is supplied flat packed for efficient storage and simple assembly. The unit is supplied complete with Lever Arch filing modules and can store 12 A4/foolscap lever arch files. 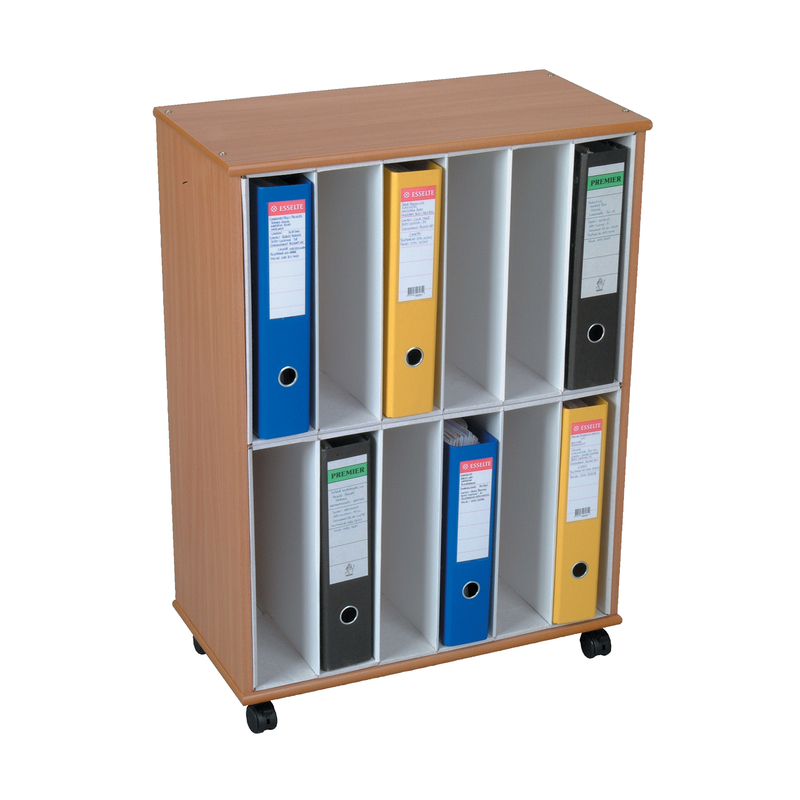 The unit is on lockable castors and therefore important papers and files can always be close to hand. The units are supplied with rounded and polished edges.